Mark your calendars for October 25th, 2011. 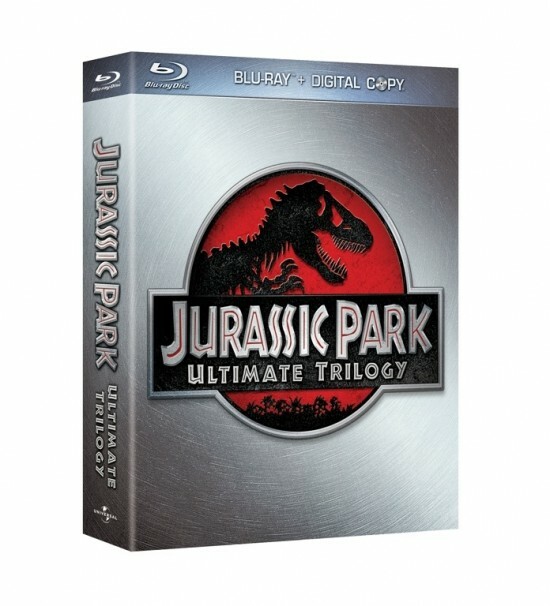 Universal will be releasing the ‘Jurassic Park’ films on blu-ray for the first time and they have spared no expense on this release. (See what I did there?) We have the press release which includes all the extras and specs for the discs. Oh man 7.1 sound, new documentaries, and hi-def picture. AWESOME. I can’t wait. Enjoy. UNIVERSAL CITY, Calif., June 27, 2011 — The wait is finally over to experience one of the most anticipated motion-picture trilogies of all time like never before when Jurassic Park,The Lost World: Jurassic Park and Jurassic Park III debut as a trilogy set on Blu-ray™ October 25, 2011 from Universal Studios Home Entertainment. Acclaimed filmmaker Steven Spielberg’s award-winning cinematic franchise, based on the best-selling book by Michael Crichton, generated nearly $2 billion combined at the worldwide box office and featured groundbreaking visual effects that changed the art of movie-making forever. Now, all three epic films have been digitally restored and remastered in flawless high definition for the ultimate viewing experience. Additionally, the films’ visceral sound effects and the unforgettable music from legendary composer John Williams can now be heard in pristine 7.1 surround sound. Arriving in stores just in time for holiday gift giving, this collectible three-movie set also features hours of bonus features, including an all-new, six-partdocumentary and digital copies of all three films that can be viewed on an array of electronic and portable devices anytime, anywhere. 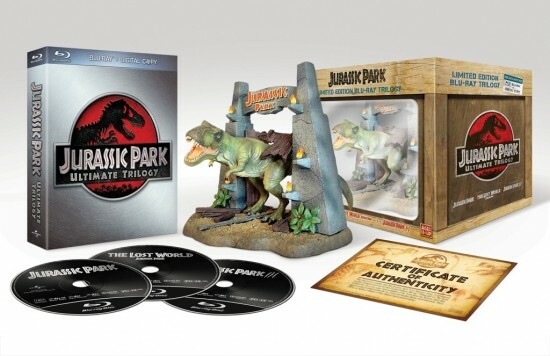 The Jurassic Park Ultimate Trilogy is also available on DVD, as well as in a spectacular Limited Edition Blu-ray Trilogy Gift Setwhich includes a custom T-rex dinosaur statue. Well there you go. You know you’re doing it. This entry was posted on Monday, June 27th, 2011 at 11:28 pm	and is filed under Film, News. You can follow any responses to this entry through the RSS 2.0 feed. You can skip to the end and leave a response. Pinging is currently not allowed. « Take a Look at Pixar’s ‘Brave’ Trailer!! !